I first heard about oil pulling a few months back while trying to figure out how to use coconut oil to fix my dry, damaged strands. “You can use it as a hair mask, but I prefer to use it for oil pulling,” one anonymous user wrote in the comments section. Intrigued, I quickly Googled “oil pulling” and spent the next 20 minutes reading about the ancient ayurvedic practice. The more I read, the more I marveled—why didn’t more people know about this? The process seems simple: Swish a natural oil around in your mouth for 15–20 minutes, and the result is healthy gums, whiter teeth, clearer skin, and a number of other health and beauty benefits. The next morning, I woke up with an enthusiasm I usually reserve for rushing to the door when my Seamless delivery arrives. I beelined to my kitchen, grabbed my Trader Joe’s Organic Virgin Coconut Oil ($6), unscrewed the lid, and spooned a large chunk into my mouth. I regretted my decision immediately. Perhaps I didn’t think this through. No, I definitely didn’t think this through. I had forgotten the number one lesson from my childhood: Just because something smells good doesn’t mean it tastes good (thank you, Play-Doh). The coconut oil that smelled so delicious when used on my skin and hair was not adapting well to my mouth, to put it mildly. I glanced desperately at the clock—only 15 seconds had passed. I cursed the beauty gods for this cruel trick. Somehow, miraculously, I managed to keep the oil in my mouth for the recommended 15 minutes before spitting it out into my garbage can, gasping for breath. I examined my mouth in the mirror—no noticeable difference, though my teeth did look a tad shinier. The next morning, I spooned another tablespoon of coconut oil into my mouth with much less enthusiasm than the day before. This time, I only lasted three minutes before spitting the oil out and rinsing my mouth out with water. I never attempted oil pulling again (though I did step up my floss game as a semi-apology to my gums). A few months later, every beauty site and magazine started talking about oil pulling and all of the supposed benefits. With my less-than-positive experience in mind, I decided to get to the bottom of things and asked celebrity dentist Dr. Gregg Lituchy about his thoughts on the craze. Read on to see what he had to say. First, I asked him exactly how oil pulling is supposed to work, which he gladly explained: “We have bacterial plaque that sits in our mouth,” he said. “Those bacteria produce fat-soluble toxins that sit on our teeth—when you swish sesame or sunflower oil in your mouth for 20 minutes, it reduces inflammation in your mouth by combining with these bacteria and removing them when you spit it out.” Then, by reducing and absorbing the bacterial plaque into the oil, it makes your gums healthier and pinker, reduces inflammation, gives you better breath, and makes your teeth look whiter. I shared my oil pulling experience with him, and he laughed. “That’s the tough part—swishing the oil around for the full 20 minutes,” he said. He also said that my first mistake was using coconut oil. Apparently, sesame and sunflower oils are more effective. He admitted to trying oil pulling out himself, with surprisingly positive results: “My gums looked really good—healthy gums are more pink than red—my breath smelled great, and as far as whiteness goes, my teeth looked a little brighter.” But he admitted my same defeat: Swishing around for the required 15–20 minutes it takes for the plaque and bacteria to be absorbed by the oil was simply too much to keep up. What about people who say that oil pulling goes beyond mouth health and can benefit other parts of your body like your skin? Lituchy explains that it’s rooted in the theory that the health of your mouth is directly related to the health of the rest of your body. Though he supports the belief that oil pulling can lead to healthier gums, he warns against viewing it as a miracle cure-all: “By no means is oil pulling a substitute for proper flossing, brushing, and routine cleanings!” He recommends rinsing, flossing, and brushing your teeth after oil pulling, as you would normally. So how long would one have to oil pull before you could start seeing results? “If you’re oil pulling for 15–20 minutes, three times a week, you’ll start to see an improvement after the first week,” Lituchy says. I informed him that he was tempting me to give oil pulling another go—no easy feat considering my slightly traumatic first experience. “From my personal experience, I definitely feel like there are benefits,” he said. “I haven’t read anything about negative effects, so I don’t see any harm. I thanked him for his time and hung up, surprised that I would even consider the prospect again. Time will tell whether or not I’ll give oil pulling another go (though, the fact that my co-worker just told me she oil pulls on a daily basis appears to be some sort of cosmic sign), but in the meantime, I have plenty of other uses for my jar of coconut oil—none of which involve me spooning it into my mouth. 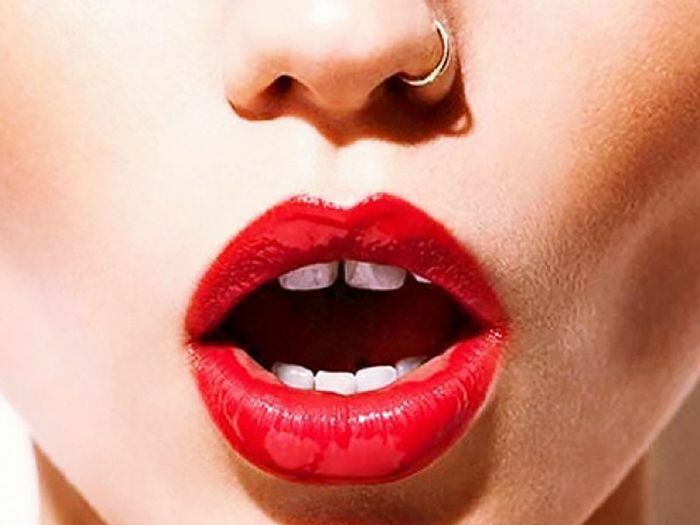 Would you ever try oil pulling? Tell me about your experience below! This post was originally published on May 7, 2014, and has since been updated.